Ready to move? So are we. The FirstCapital Bank of Texas mortgage team is made up of experienced professionals who are ready to meet your home financing needs—and meet you how, when and where it’s convenient for you: Nights and weekends. At your home or office. Reach out to the your local team member: They’ll be with you every step of the way to ensure buying or refinancing your home is fast, simple and hassle-free. Apply now! Heather joined the FirstCapital family in 2012, bringing with her years of mortgage industry experience and an in-depth knowledge of all available mortgage loan programs. As an inside mortgage loan officer, nothing makes her happier than making her clients’ dreams of owning a home come true. Heather loves getting to know her clients personally as she helps them navigate the home buying process. Get to know Heather today when you contact her for your home buying and refinancing needs. Mason joined the FirstCapital Bank of Texas Mortgage Team in 2019. Originally from Amarillo, he attended West Texas A&M University where he received his degree in economics and later his M.S. in Finance and Economics. Mason knows that buying a home – especially for the first time – can be overwhelming. His goal is to be with you every step of the way and ensure you feel confident in the homebuying process. Mason is a member of BNI, Texas Panhandle Builder Association, Realtors Association of Realtors and the Amarillo Chamber of Commerce. 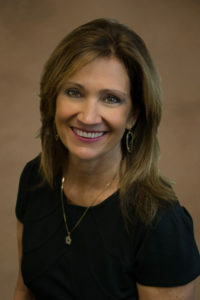 A mortgage loan professional since 2005, Tami has a wealth of professional lending knowledge in the Horseshoe Bay area. She also understands the value of customer service and treats every customer as a priority. In 2013, Tami was voted Affiliate of the Year for both the Highland Lakes Area of Realtors and the Highland Lakes Women’s Council of Realtors (WCR). She also served as treasurer for the Highland Lakes WCR from 2014–2015. If you’re in the market for a new home or refinancing your dream home, contact Tami today for personalized service! She always returns calls the same day! Jennifer understands that buying a home is one of the most exciting and important times in your life and she is dedicated to working hard so you can enjoy your home-buying dreams without the stress. From working as a Closer, Shipper, Processor, to currently a Loan Officer, Jennifer has numerous connections to West Texas realtors, title companies and insurance companies making her your perfect choice for helping you buy a home in the Lubbock community or surrounding area.